In the past few years Cathedral Primary has gone from strength to strength! Our achievements are many, including our best ever KS2 results which were amongst the highest in the country. In 2013, we were named 21st in the country by the Sunday Times, achieved 66.7% Level 5 in both reading and mathematics, and 29.2% of children achieved Level 6 in mathematics – which is over 5 times the national average. In 2014 the average score achieved by Cathedral School pupils in the examinations (Maths, Writing, Reading and Grammar) was the highest in the borough. This news is excellent for the school and was on the back of being included in the Sunday Times ‘Top 600 Schools’ report published in November. In 2015 the average grade achieved by Cathedral School pupils in the examinations (Maths, Writing, Reading and Grammar) was again the highest in the borough. We were also ranked 58th in The Sunday Times list. In 2016, we were again ranked in The Sunday Times list of top performing schools, in the top 50. In 2017, the percentage of children who achieved a high score in Reading, Writing and Maths in the KS2 examinations was three times the national figure. The school has received national recognition for the value it adds to its pupils’ high achievement in the key stage 2 tests. 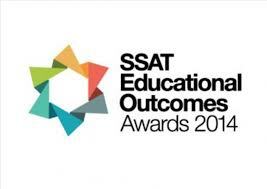 The school has qualified for two SSAT Educational Outcomes Awards by being in the top 20% of primary schools nationally their pupils’ high attainment, and in the top 20% for progress made by pupils between their key stage 1 tests, taken at age seven, and their key stage 2 tests, taken at age 11. 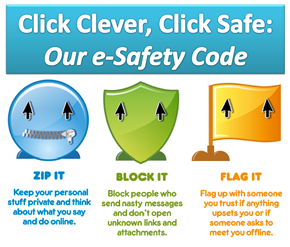 Please visit the school blog for more details. Cathedral Primary School also received a letter David Laws MP, Minister of State for Schools congratulating us on our “excellent performance” in the end of KS2 tests. It praises the school for being “exceptionally effective in educating its pupils” and “the good start in life” pupils receive here. 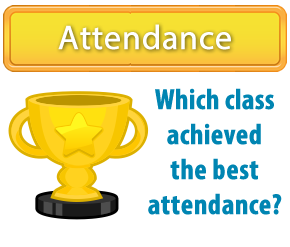 When Ofsted visited in October 2008, they judged us to be an outstanding school. things so that you understand and they teach you in a fun way’. You can read the report here. Since then we have continued to strive for further improvement. With continuous focus on developing teaching and learning, attainment is even higher today. The Inclusion Quality Mark is an important award for the whole school community because it vividly reflects Cathedral School’s values and ethos. As the assessor was so impressed with the school she made a recommendation that we apply to become a Centre of Excellence. She said, “The central focus is on the children, for whom the school has very high ambitions and they are encouraged to do their best in everything they do”. To view the full Inclusion Quality Mark Report please click on the link. In order to achieve the award our governors had to attend at least seven of the nine modules including The Curriculum, Effective Governance and Teaching, Learning and Achievement. This award is valid for 4 years and demonstrates a commitment to training and self-evaluation in order to support the school in its drive for excellence. 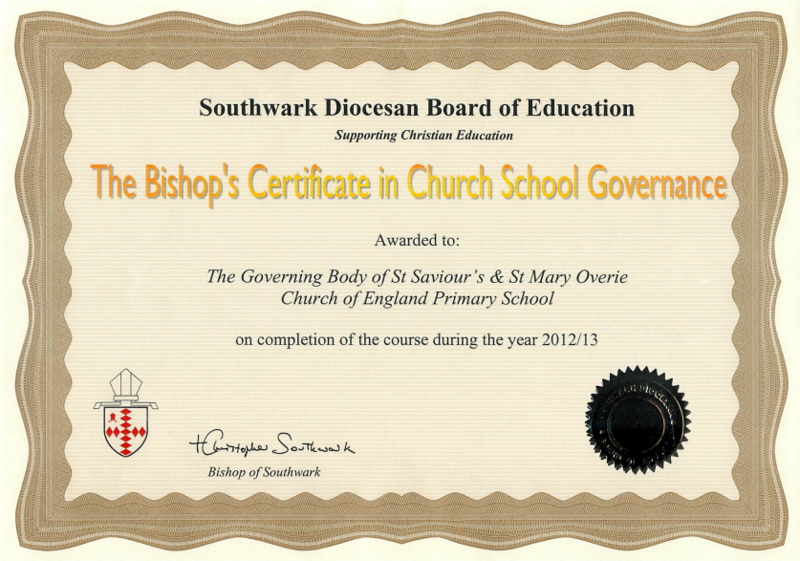 The Bishop of Southwark acknowledges this important role played by governors of Church of England schools in the Diocese of Southwark and endorses this modular course which aims to clarify the role of the governing body in a Church of England school. We were the first school in the borough to achieve the ‘Level 1’ award from UNICEF and in 2013 achieved another borough first and were awarded the top ‘Level 2’ grading. 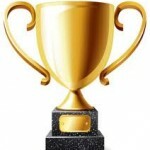 Very few schools across the country hold this award. It is a very special and in working towards it, it transformed the school and has had a great impact on teaching and learning and children’s attitudes to each other and the other children around the world. Because of it our children are increasingly active in playing their part in shaping the world. View our School Charter on the new RRS Blog. 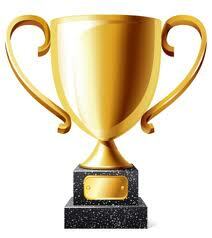 Our ‘Gold’ level of award represents the highest level of achievement. This is the fourth time the school has been awarded this distinction and consequently The Arts Council will announce this success at a national level on the 23rd May 2012. To say the assessing team were impressed would be an understatement. They thoroughly enjoyed their day here and were hugely impressed by the standard of art provision and the quality of work the children in school create. Awarded for the impressive work we’ve been doing to build up global awareness amongst our pupils, we are proud to hold the International Award. We are confident we will build on this as we continue to develop links with our partner school, Daramombe Primary School, Zimbabwe. We have been an Eco School for many years and are an experienced Green Flag school, sharing our practice with other schools working towards the award. Our commitment to music and, in particular, singing, led to us receiving this prestigious award, the highest in the scheme. Our many performances around London throughout the year, as well leading Easter and Christmas Services at Southwark Cathedral, mean that our children learn performance skills, increase musical their abilities and develop confidence successfully and at a very young age. We work closely with the Voices Foundation and were the first school to become a Beacon School in just one year. We were chosen to represent the Voices Foundation at the Royal Festival Hall, London as two of our classes showcased the Voices Foundations methodology in front of a huge audience. This award recognises the excellent provision we have to support the teaching of the basic skills of reading, writing and mathematics. Winning the award is a tribute to the brilliant team of teachers and teaching assistants at Cathedral Primary School. This award reflects the varied and creative learning we enjoy in school in this subject and the commitment we show in teaching geographical skills and vocabulary. 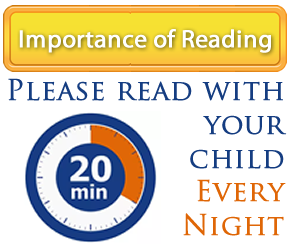 This recognises the significant time we all dedicate to physical activity at Cathedral Primary to ensure our children are healthy. There’s a strong link between healthy bodies and healthy learners so we are very proud to have achieved this recognition.